CLAIR Gallery is pleased to announce it now represents the esteemed photographer Vera Mercer. Mercer was born in Berlin in November 1936. She has done photo reportages on Samuel Beckett, Eugène Ionesco, Satyajit Ray, Andy Warhol, Norman Mailer, Marcel Duchamp, and others. She has also made documentary photos for many artists, including Eva Aeppli, Jean Tinguely, and Niki de Saint Phalle. Her work has been exhibited at museums and galleries around the world. To read Mercer’s autobiography and see more images, click here. 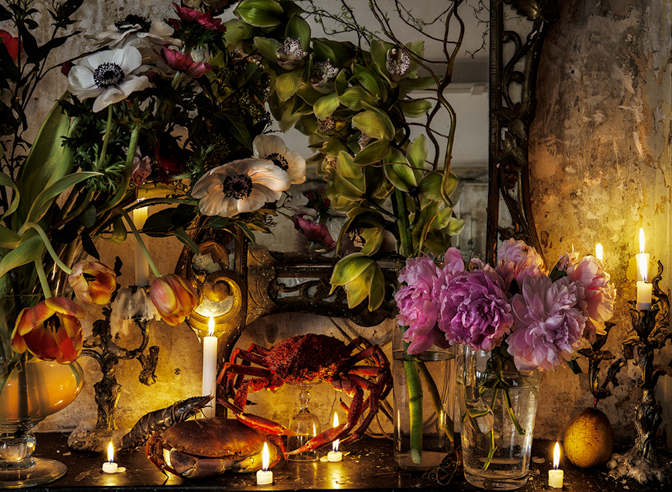 Purchase Information: The featured image is Spider Crab, Paris 2013. Available in three limited edition series of 59″ x 80.6″, 43″ x 58.7″, and 23″ x 31.4″. CLAIR Gallery exclusive.